The Clowney collection can adapt to any room and create a modern and casual atmosphere. 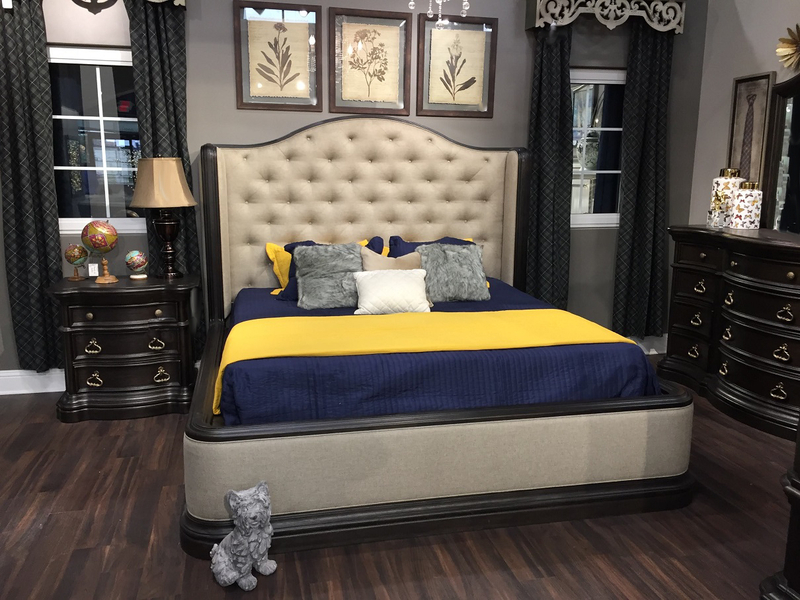 This beautifully styled Noah collection brings comfort and will give your master bedroom a dignified flair. Let the Sophia collection bring charm to your home with hand carved leaves and traditional accents. The Olivia queen bedroom set is sophisticated yet graceful with its black cherry sleigh bed and accent moldings. Our Ethan queen bedroom set suit evokes regal sophistication with very traditional accents in a wood finish to bring a convenient and comfortable feel into any bedroom. Our stylish Lina black bedroom set has its reptile like finish, faux leather and studded headboard, with silver accented dresser handles. With its exuberant shapes and livable scale the Simone collection creates a refined yet casual retreat ranging from the mountains to the suburbs, truly a perfect custom design.